Social media is an incredible way to discover potential new leads, interact with past clients and local businesses, and promote your brand online. But it can also be time-consuming if you aren’t using the right tools. We’ve have a provided feature to help make social media easier. 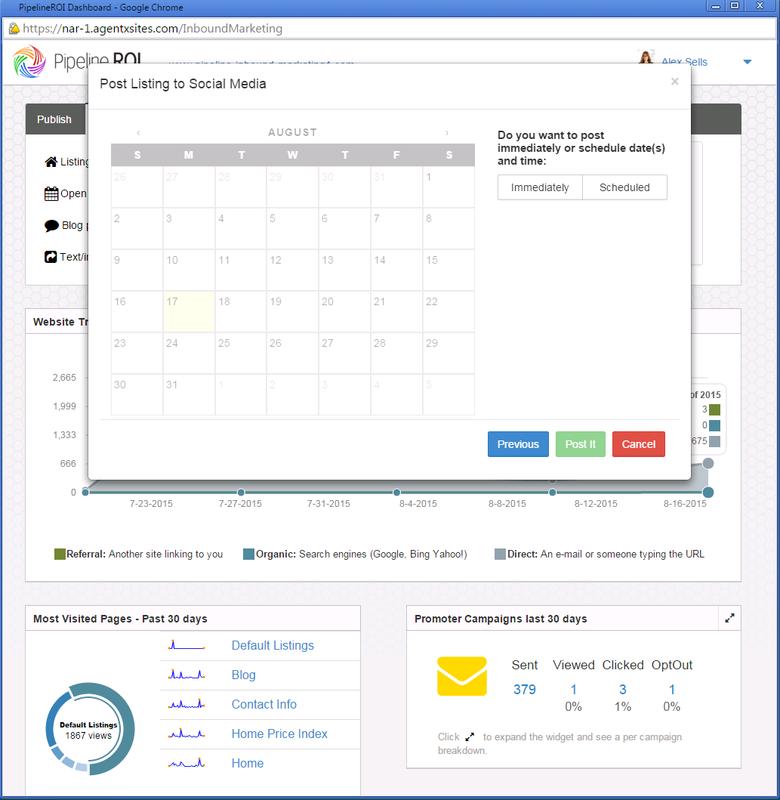 You can schedule multiple posts to Twitter and Facebook in advance using our social media scheduler. Here’s how it works. 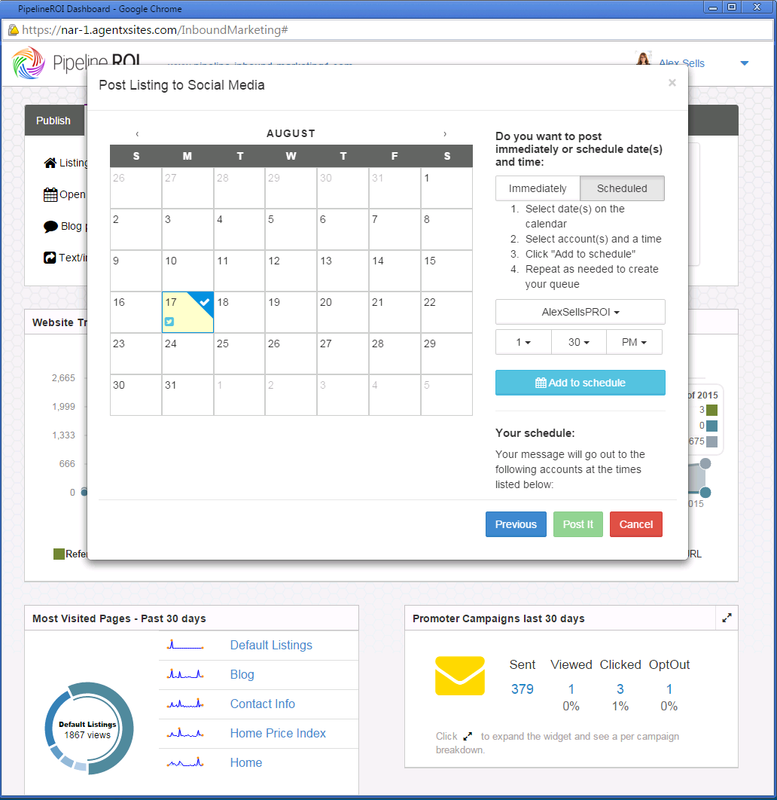 Since our scheduler is built directly into our inbound marketing dashboard, you can manage your social media, website, blog, and e-mail marketing in one place. To access the scheduler, simply log in with your Pipeline ROI credentials by visiting www.yourdomainname.com/inboundmarketing (you’ll use your personal website’s domain in the URL). 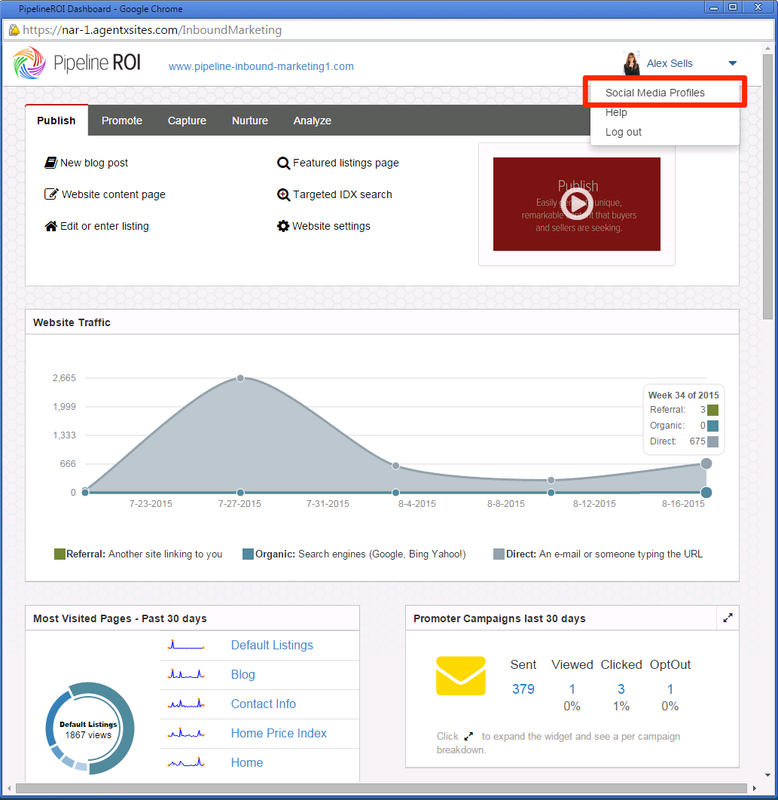 You’ll want to have at least one of your social media accounts connected to Pipeline ROI. If you already have your Twitter or Facebook connected, skip to the next step. If not, click on your name in the top-right, select social media profiles, and click “Connect now”. Follow the steps in the dashboard to complete this connection. How do I post a blog article I wrote to my social media profiles?